Wow, I expected red, but not this much of it. I like how Abbot of Keral Keep really had a good outing. Its not Snapcaster Mage, but the fact that its in the same conversation should be a pretty good hint that you should be playing this card. 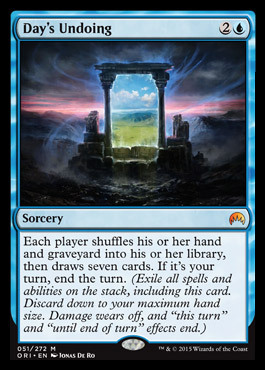 Ever since Magic Origins was announced, Wizards has been clear about the set not being the end, but the beginning. Its even in the name. There are some quite splashy things in the set that set it apart from other sets, but there’s also some little subtler things that show a small change of direction. MagicCardMarket.eu provides a search option, which lets you order the results by popularity… and I wasn’t quite expecting these results when going through Magic Origins cards. Clearly, there’s tools for it now. I’ll gladly tackle any issues raised by others, but here are some that need to deliberated early on. I guess I’m done brewing for now (probably not really), and I’d just like to share my thoughts on some (actually quite a few) cards I think might have an impact on standard that I find interesting for various reasons. I’ll try not to overlap too much with my previous brew articles, though, and I’m going to emphasize cards that might have an impact here rather than outright very powerful cards. Here’s an interesting and a seemingly (and probably actually) bad card. There are infinite stars in the sky and while there aren’t quite as many ways to use this card, its clearly more than I could ever count.